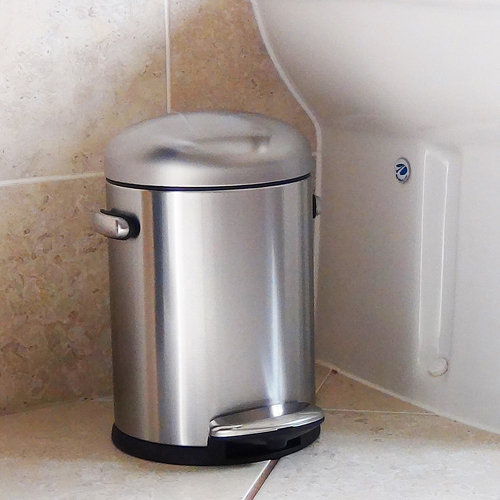 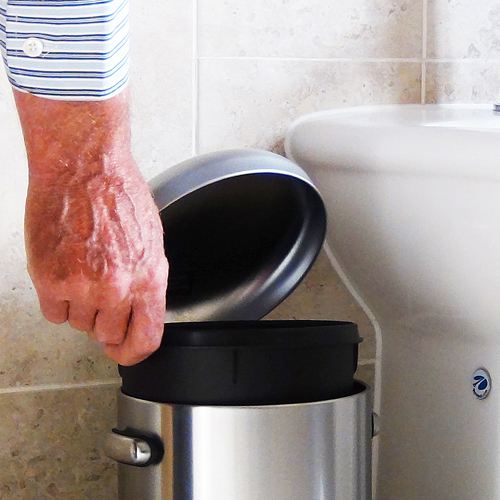 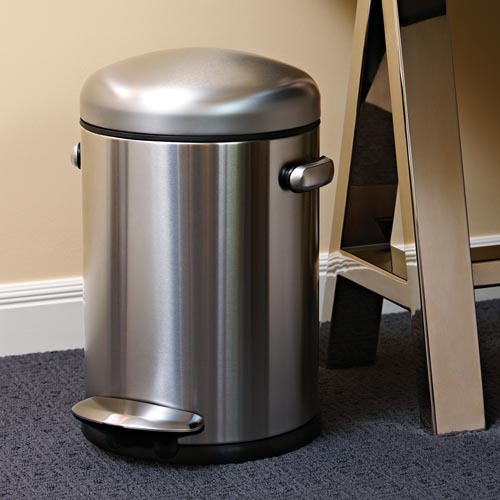 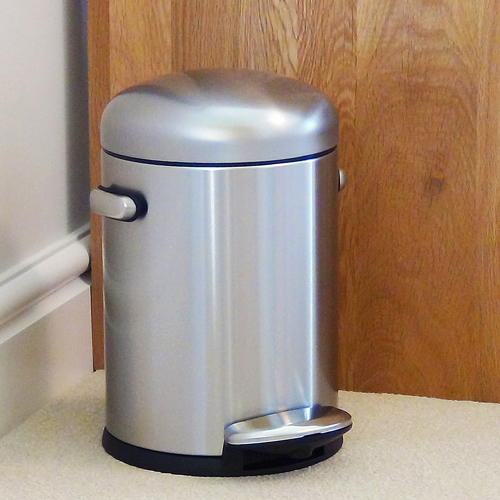 This is simplehuman's "Mini Round Retro" 4.5L pedal bin and it's absolutely ideal for small spaces. 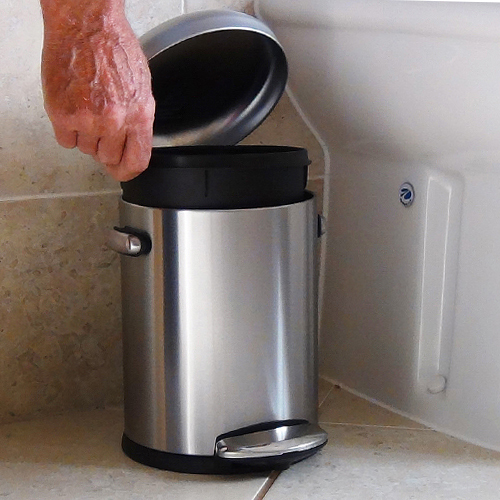 This stainless steel pedal that opens the domed top is strong, durable and when the lid opens there is a black removable inner for easy rubbish disposal. 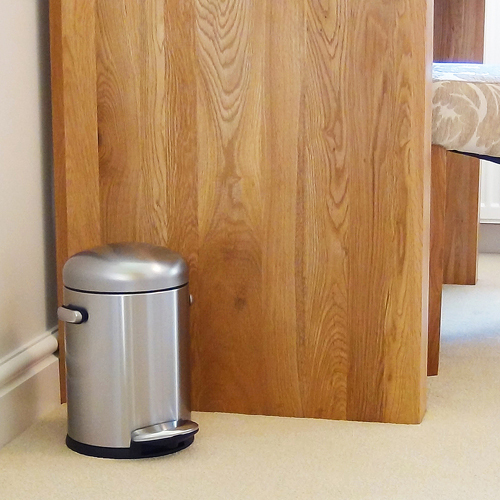 Another useful feature is the non skid base, which stops the bin sliding when you put your foot on the pedal. 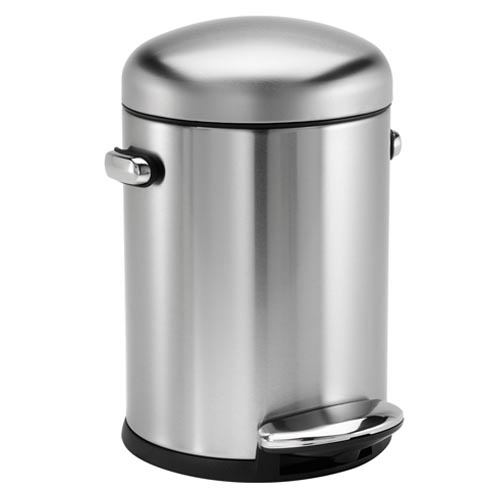 One other really nice touch is that simplehuman have a "Fingerprint Proof Finish" on the stainless steel bins outer, so small smudges and stains don't affect the look of the bin. 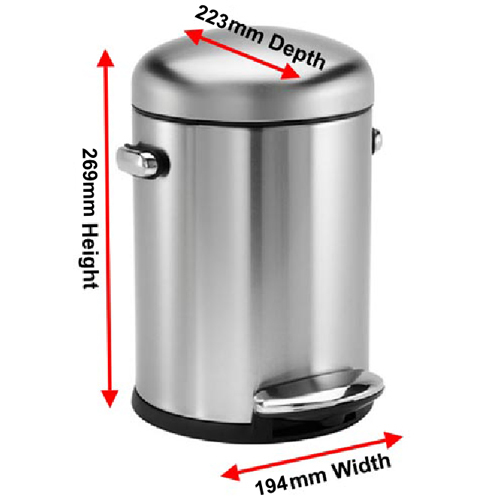 Very simplehuman ! 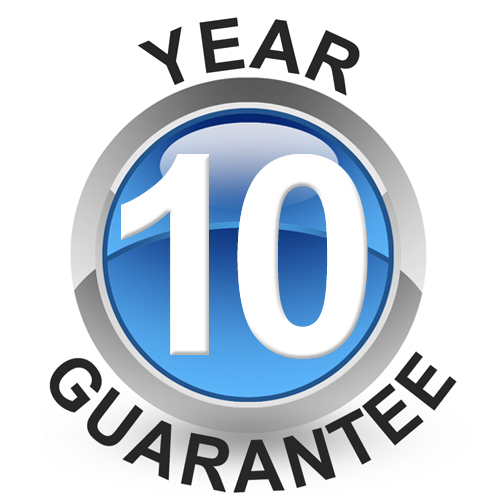 All in all it's a first rate strong steel product.